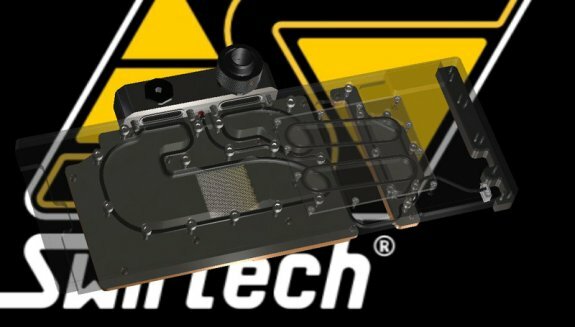 TechPowerUp found pictures of Swiftech's upcoming Komodo full-coverage waterblock for AMD's Radeon HD 7970 graphics card. Pricing and availability is unknown. Called the Komodo HD 7970, the block confines itself to the size of one expansion slot with an included single-slot bracket. The monolithic black design adds a lot to the aesthetics of the card, including its fittings area. The primary material of the block is nickel-plated copper. 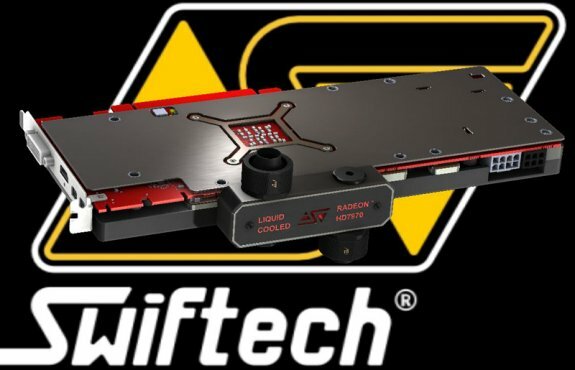 The portion of the block over the GPU has a 0.25x0.25 Micro Pin matrix, which maximizes heat dissipation to the coolant. 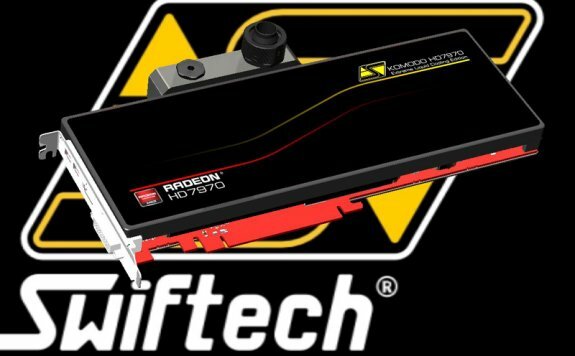 Unlike other full-coverage blocks where a portion of the block that doesn't have flowing coolant makes contact with the VRM, the Komodo HD 7970 has "active" VRM cooling, where the area over the VRM has its own coolant chamber, and is part of the coolant's primary flow. Nice block. Should be medium flow (which is fine) and good cooling without being as heavy as many blocks can get. Only sadness is that they can't offer an acrylic faced version, but that's the way things go. Going to be many happy users of this block to be sure.